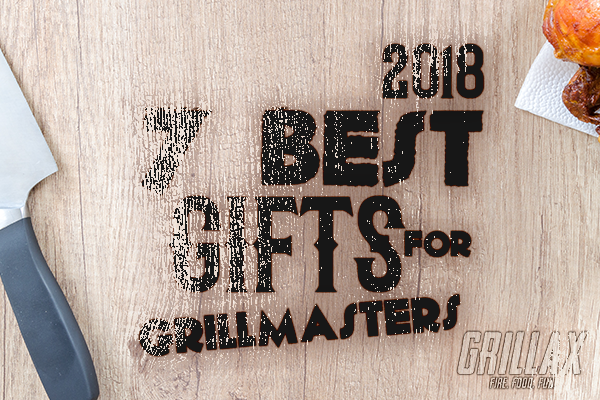 The holiday season is officially here and the Grillax chefs have put together a must-have Gifts for your Grillmaster guide. Enjoy your time with family and friends with great food off the grill, and give the Gifts for your Grillmaster to make that time spectacular. Our first selection in our Gifts for your Grillmaster guide is a fire pit from Breeo. Grilling on a Breeo Double Flame fire pit is a real pleasure and a lot of fun. The secondary combustion system creates an even cooking surface that is significantly hotter than a normal fire. 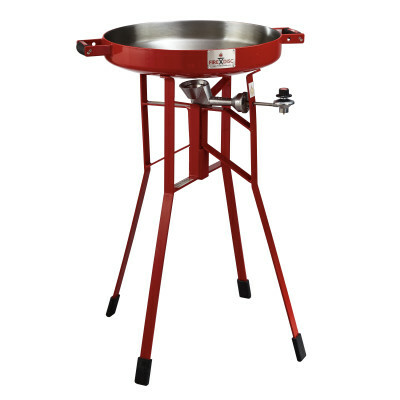 This allows you to sear steaks at 1,600+ degrees, just like the pros. The grilling feature of the Double Flame fire pit is completely adjustable and easy to use. Simply slide a post into a sleeve, slip in the pin, and voila. Your fire pit is ready to grill. Adjust the height of the grill to cook depending on the amount of heat desired. Breeo has changed the landscape of grilling outdoors. Even Santa would be envious of this great gift. A revolutionary outdoor plow disc cooker, the FireDisc is a durable, lightweight, hassle-free propane grill that can be the highlight of your next outdoor adventure. Stop waiting around a charcoal grill to come to the right temperature to grill your meal. The FireDisc sets up in seconds with no tools and is instantly ready to prepare a delicious meal. Its unique circular design gives everyone an opportunity to participate in the fun, whether in the field outdoors or at the gameday tailgate. It may be hard to make your Grillmaster stop smiling after opening this one. Check out the FireDisc in action. No matter where you grill, ultimately there will be some mess to clean up. Enter Tuffy Mats. The durable mats are manufactured using over 70 percent recycled rubber. They are safe to use with your upright grill-smoker-fryer-or kamado cooker whether it uses charcoal-wood pellets-gas or electricity as its heat source. Cleanup is easy because Tuffy Mats resist animal fats, fish oils, grease, sauces and marinades. With warm soap and water, one can bring the smooth rubber surface back to new. A ribbed bottom helps to prevent mold and mildew. This practical gift would be perfect for any Grillmaster. 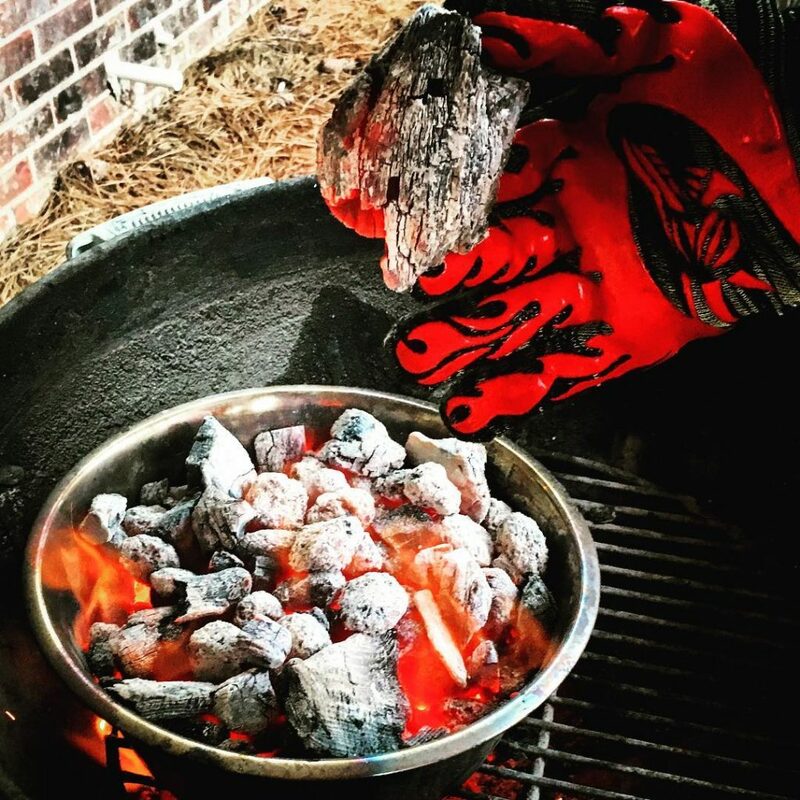 Cooks of all kinds need heat resistant gloves, and with Dragon Knuckle, Grillmasters get superior protection compared to oven mitts. 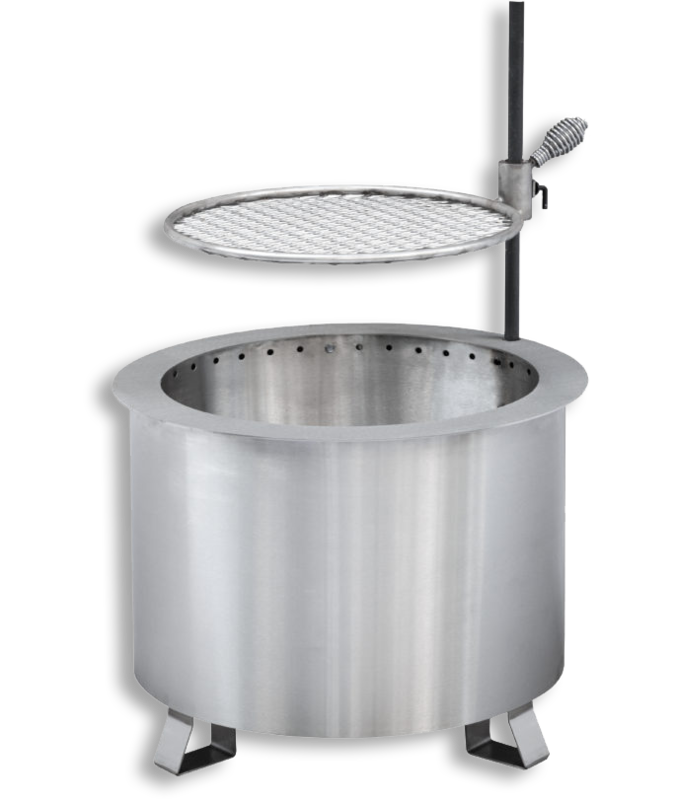 Grillmasters are the main target of the manufacturers of Dragon Knuckle, because they live the grilling lifestyle. Have you ever picked up charcoal with your hands while grilling? Moved the ignited logs around in your fire pit with only your hands? It’s possible, and fun, and would make any Grillmaster happy come time to open gifts this holiday. The dream team of engineers at Thermoworks has done it again … and it may be their best invention yet. The Singals multi-channel digital thermometer unit is amazing. 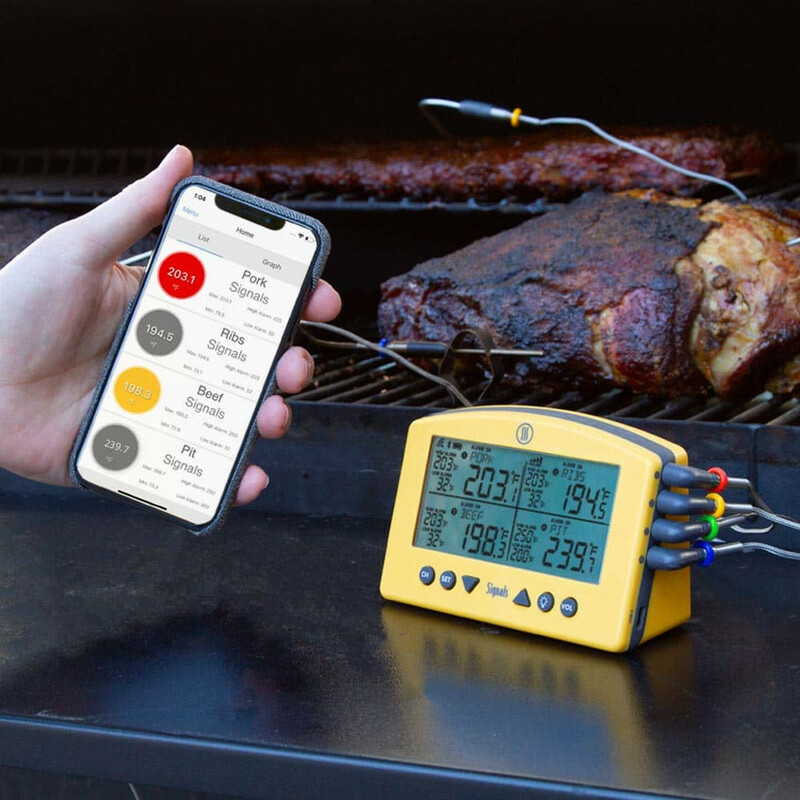 Designed for competition BBQ teams, professional chefs, and those who want to cook like them, Signals with built-in Wi-Fi and Bluetooth has four channels of continuous temperature monitoring. Signals comes with both Bluetooth and Wi-Fi onboard, seamlessly switching between the two, so you get a continuous signal and real-time alerts whether you’re in a field or across town. Setup is quick and easy without ever needing to read the instruction manual. This gadget allows one to cook more at once and worry less about the results. And that’s a cool thing. Who wouldn’t be impressed with this as a gift? We like ours in Orange. The Anova Nano makes it easy to achieve restaurant-quality cooking results at home. All grilling proteins, as well as vegetable, can be prepped to perfection before throwing over the fire. 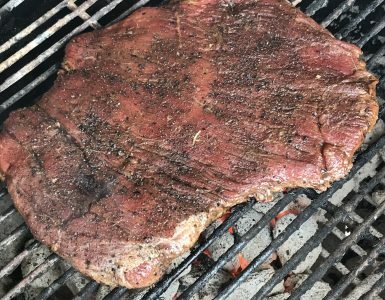 Sous vide steaks can change the way you grill … seriously. Nano connects to your phone with Bluetooth, so you can cook amazing meals with the touch of a button and monitor progress from another room. Key features include five-gallon capability, 750-watt heating unit, stands 12.8 inches, uses Anova app and includes more than 1,000 recipes. 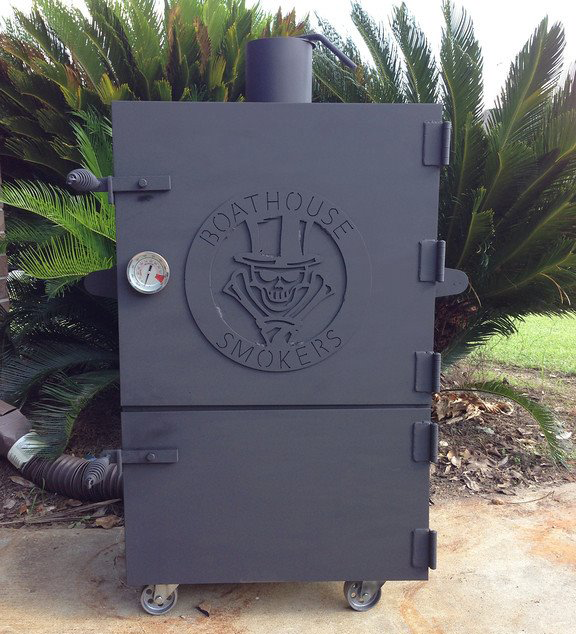 When we came across a Boathouse Smoker while tailgating the LSU/Ole Miss football game, we were highly impressed. The heavy-duty construction is what caught our eye, but the consistent heat (stick smoker) is what sealed the deal. The almost 4-foot unit weighs 225 pounds and is equipped with two large removable meat racks and a fuel (charcoal or hardwood) tray on slides built on caster rollers. After talking with the Grillmaster, we found the cookers are built with American steel in Louisiana near Baton Rouge. What a gem at an outstanding cost. This Texas spice creator offers a wide variety of BBQ rubs and spices, including the widely popular Honey Bourbon, or the Maple Mesquite. Our favortie is the Honey Bourbon on chicken thighs and pork chops. Take a peek at a recipe using Rubbin’ Right. 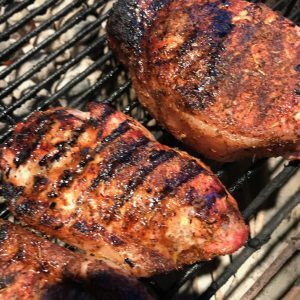 Pork loin chops with Redneck Shake’s Mississippi Dry Rub. 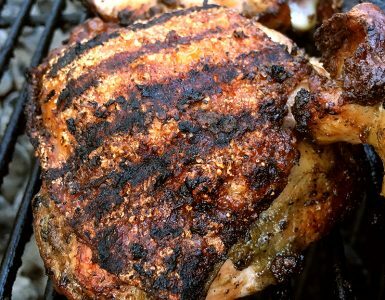 The Mississippi Dry Rub and Southwest Blend could be your new versatile rub for your next grill session. 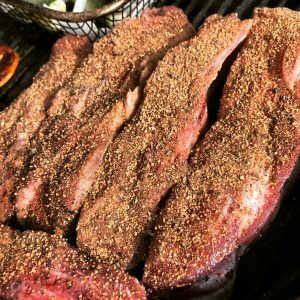 Sweet, tangy and bold would describe these two flavorful rubs. The maker’s say, ‘Great on anything that swims, walks, crawls or flies’ — we can’t argue that. Good stuff. Check out this recipe using Redneck Shake. 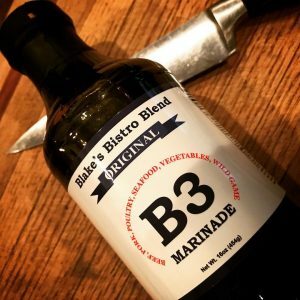 What started as a family recipe three generations ago, the makers of B3 Marinade have released the unique, flavorful marinade to the world. Great on beef, pork, seafood and veggies, this all-purpose blend will impress all grilmasters. We love it on grilled asparagus. The folks at Wildwood have come up with a great new way to use wood smoke. 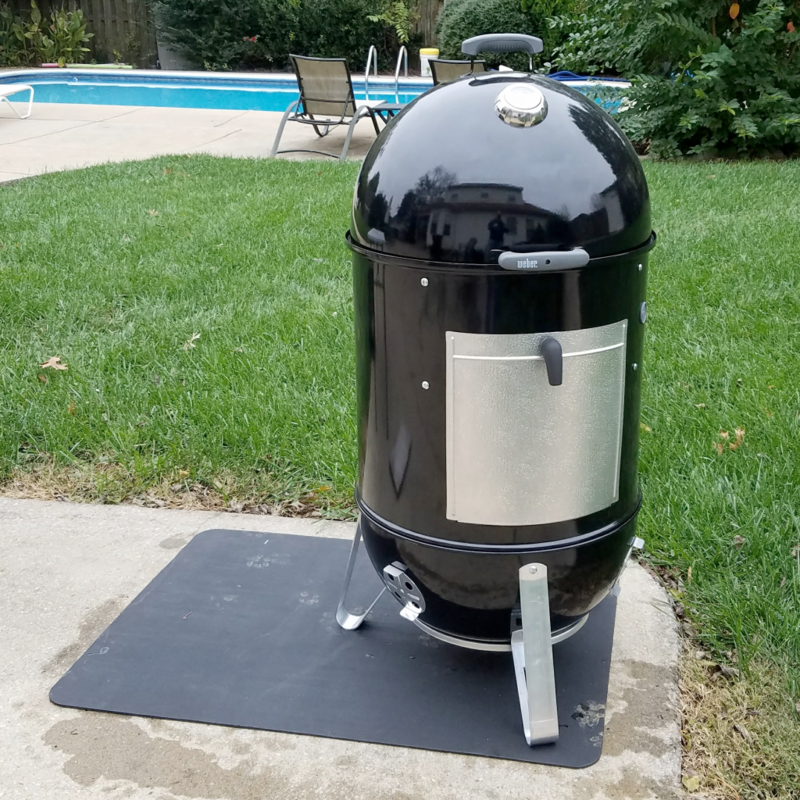 Their new smoking blocks (which are smoking chips’ older brother who works out) are perfect for low-and-slow grill sessions. 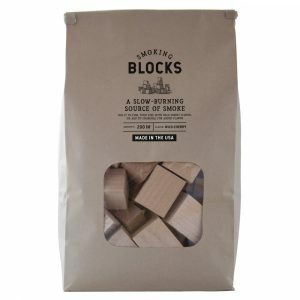 Available in cherry, maple, alder and hickory, the blocks are kiln-dried and free of bark and pesticides. Once you let your Grillmaster try Wildwood Grilling smoking blocks, they will never want to go back to anything else. 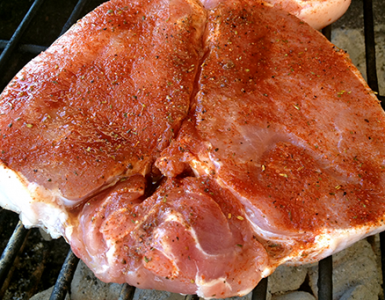 We love cherry blocks when grilling thick-cut pork chops. 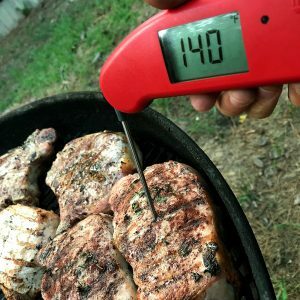 Pork chops on the grill checking internal temperature with Thermoworks Thermapen MK4. An industry-leading digital thermometer, the Thermoworks Thermapen MK4 is the perfect stocking stuffer in 2018. With full readings in only 2 to 3 seconds, the Thermapen can be held in any direction and the display (backlit illumination) automatically rotates right-side-up so you can read it in any position. 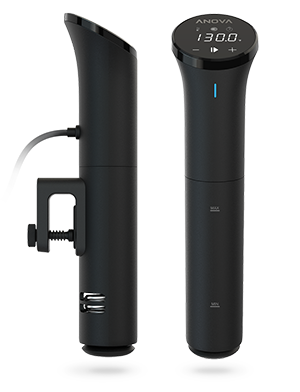 No Grillmaster should be without the Mark IV Thermapen. The popularity of culinary kits delivered to your door is at an all-time high, including one for grillaholics from Grill Masters Club.